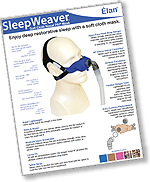 The SleepWeaver masks are designed to help people sleep and breathe in comfort. The Élan soft-cloth nasal CPAP mask is designed so the exhalation doesn't bother you or your bed partner. The exhalation holes are under the mask to match up with your natural exhalation. 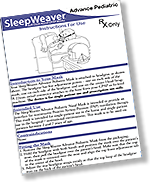 Similar to other SleepWeaver masks, the SleepWeaver Élan incorporates the revolutionary Circadiance soft-cloth technology that quietly inflates like a balloon to create an airtight seal. 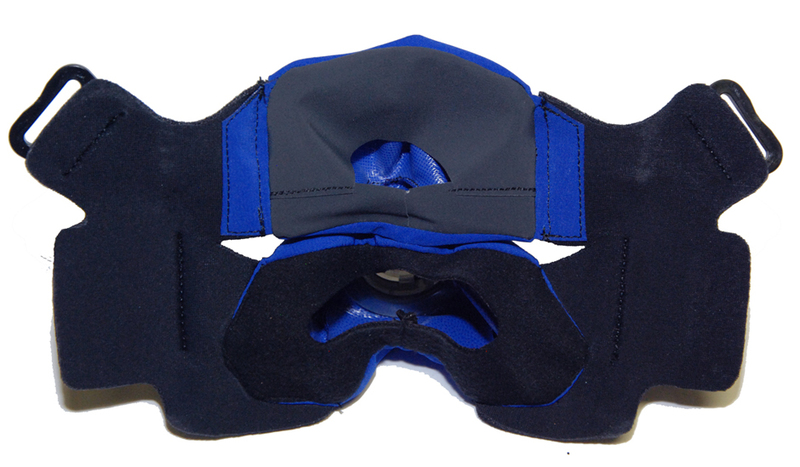 The mask is breathable, non-allergenic and eliminates leaks, pressure points, sore spots and pinching. Designed to prevent strap marks and the open-face headgear accommodates eyeglasses and virtually unrestricted vision—great for people who like to fall asleep while reading or watching TV! 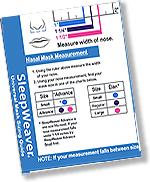 SleepWeaver Soft Cloth CPAP masks have been designed and thoroughly tested to provide a great, comfortable seal. The SleepWeaver Elan Starter Kit is the Premium PAP Mask Package. Multiple sizes are included for optimal fitting. The Featherweight Tube is idea to reduce pull and drag on the mask so you can maintain a good seal and the Tether Strap also allows freedom of choice for tube placement. A new open-face headgear design that accommodates eyeglasses and allows virtually unrestricted vision. Great for people who like to fall asleep while reading or watching TV! 1. What is in a SleepWeaver Élan “Starter Kit”? 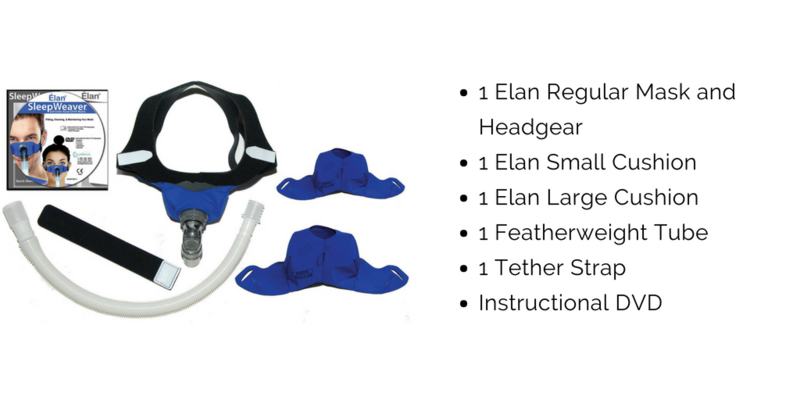 The SleepWeaver Élan starter kits are available in blue and included in the package is one regular mask and headgear with connector assembly, one large mask/cushion, one SleepWeaver Featherweight Tube, One Tether Strap, One Quick start Illustration Guide, and One Instructional DVD. 2. Do I need to buy the SleepWeaver Élan Starter Kit or can I just buy the mask and headgear? First time users of SleepWeaver Élan are encouraged to buy a Starter Kit. You can buy a Mask/Cushion, Headgear, Tether Strap, and Feather Weight Tube separately. 3. How often should SleepWeaver Élan be washed? 4. How should SleepWeaver Élan be washed? For home use, SleepWeaver Élan should be cleaned by hand washing with a mild nonabrasive detergent in warm (not hot) water until visibly clean. Rinse well with drinking quality water and allow to air dry out of direct sun- light. You may keep the swivel attached during cleaning or you may remove it and clean it separately. The headgear should be hand washed weekly. *HANG DRY ONLY (Do NOT dry mask and headgear in the dryer). 5. In what position can the tubing be run when using SleepWeaver Élan? 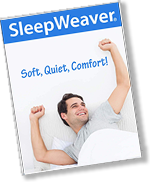 SleepWeaver Élan allows the tube to be routed in any direction according to the patient’s choice, including over the head. 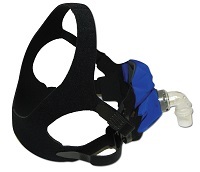 The Starter Kit includes an optional tether strap that can be used to connect the Feather Weight Tube to the headgear when the hose is routed over the head. Some customers also prefer using a hose clip to secure their tube onto their clothes. 6. Do I have to use the tether strap? 7. From what material is the mask made? 8. Does the cloth mask contain latex? 9. What is recommended pressure for SleepWeaver Élan? 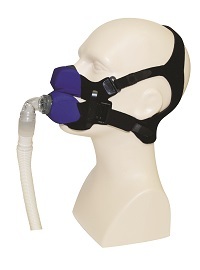 SleepWeaver Élan has been tested and approved for use between 4 – 20 cm H2O on PAP, Bi-Level and Auto-CPAP systems. 10. Does SleepWeaver Élan have an exhalation vent? Yes. There are a series of small holes in the lower side of the cloth cushion that provide exhaust for the exhaled CO2. The exhaust rate is comparable to most old style hard plastic PAP masks. 11. Can I use SleepWeaver Élan with my existing PAP system? 12. Can I use SleepWeaver Élan with a humidifier? 13. Will SleepWeaver Élan seal better than SleepWeaver Advance? 14. Can I use SleepWeaver Élan if I use supplemental oxygen? 15. What is a Zzzephyr Seal? The Zzzephyr Seal is a light, fine cloth that helps form a comfortable seal around the bridge of your nose. The elastic material cradles the nose and promotes fewer mask leaks. The elastic material cradles the nose and promotes fewer mask leaks. 16. Are there any interchangeable pieces for Advance and Élan? 17. Does Élan have the zzzephyr seal? 18. Can I wear SleepWeaver Élan if I have facial hair? 19. Can I sleep on my stomach while wearing the mask? 20. Can I read or watch TV while wearing the mask? 21. I have dentures. Can I still wear the mask? 22. Can I use SleepWeaver Élan if I have a broken nose of deviated septum? 23. What is included in the DVD that came with my Starter Kit? The DVD includes an instructional video and printable written instructions in multiple languages. 24. How long will a SleepWeaver Élan last? The SleepWeaver Élan Mask and Headgear is designed to last for 6 months, with replacement mask/cushions available for replacement every 3 months. The replacement items can be purchased separately from the starter kit on our website. 25. Will you be making smaller sizes? 26. Can I use the Feather Weight Tube with SleepWeaver Advance, Anew and Élan? 27. Can the headgear for each SleepWeaver mask be used with other SleepWeaver products? 28. Is SleepWeaver Élan better than SleepWeaver Advance?